Bad weather conditions in Indonesia, especially in the South Kalimantan province, continue to affect thermal coal production and loading schedules, pushing up spot market prices in recent days, sources said Thursday. Market sources had noted a delay in loading schedules since weeks ago amid thunderstorms in Kalimantan. “Suppliers kept pushing back the loading period, and those vessels that had arrived at the port [in Kalimantan] had to wait in queue,” a China-based trader said. The delays were previously expected to last six to nine days, but sources said Thursday shipments have been further delayed by as long as two weeks now. “Heavy rain is still happening at the mines,” an Indonesian-based market source said, adding that the supply of low CV coal was particularly hit. “It would disrupt supply for January for sure,” the source said. A producer said that in addition to the production disruption, loading activities have also been affected. “High swells makes it difficult to load,” he added. Another producer said that they had 12 vessels that had been at the anchorage for about one and a half weeks. A weather report for Kalimantan is predicting cloudy weather for the next three days at least. The weather-linked problems were not affecting all supplies. Some sources said their shipments from other South Kalimantan producers had been on schedule despite the rough weather. “Our producers required just one to two days for loading,” a Singapore-based trader said. Production in other parts of Kalimantan seemed little impacted too. “Rain has been on and off, there’s no significant impact on us so far,” a North Kalimantan-based producer said. An East Kalimantan-based producer had also reported of little impact. Market sources said that the delays had minimal impact on Chinese power plants as they are well-stocked, but traders are facing significant pressure. “Now that coal prices are increasing, we’re also worried that the coal quality might drop due to the rains and the long wait [affecting the moisture levels],” a China-based trader said. Traders may incur high vessel demurrage charges and other costs as they have booked the discharge ports in China, an Indonesian producer noted. The disruption comes amid stronger buying interest from both India and China at the start of the year, after a long hiatus in the fourth quarter of last year, which is typically peak winter season for coal. Price of 4,200 kcal/kg GAR grade of coal was assessed $33/mt FOB Kalimantan Wednesday, after reaching a multi-year low of $28.30/mt in November last year. 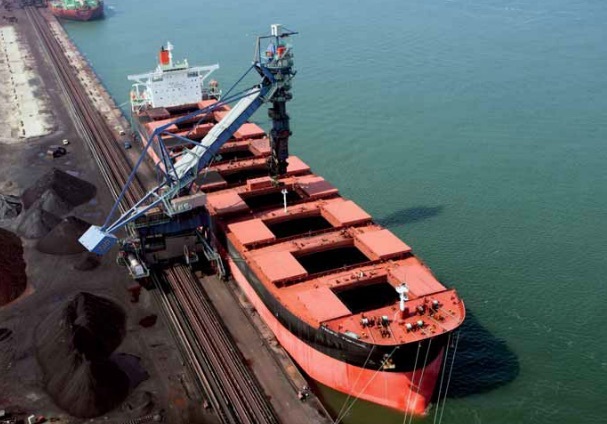 Several spot market trades had been concluded in recent weeks, with Chinese power plants seeking Indonesian low CV coal after import restrictions were relaxed in China at the start of the year. The recent mining accident in China’s Shaanxi province has also prompted some buyers to turn to the seaborne market as stringent mine safety checks hampered Chinese domestic production, sources said. At least 21 people were reportedly killed in the fatal coal mine accident on Saturday in Shenmu, Shaanxi province. Majority of the mines in the province were shut and Chinese authorities imposed stricter checks on mines in other regions, prompting fears of coal shortage in coming weeks.